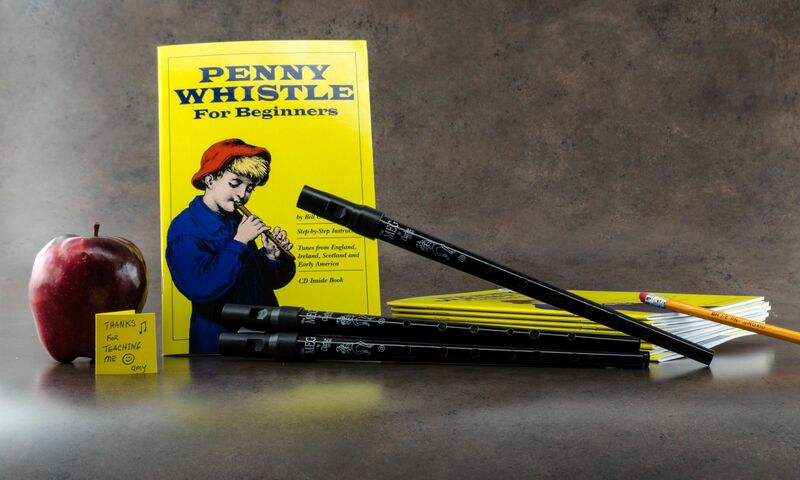 Pennywhistle for Beginners’ author Bill Ochs has been called a “central figure in the renaissance of the tin whistle” — aka the pennywhistle — by National Public Radio’s All Things Considered and “the leading tin whistle teacher in North America” by the Irish Voice newspaper. He devoted over thirty-five years to playing the instrument, teaching it at Manhattan’s Irish Arts Center, and giving workshops at schools throughout New York’s five boroughs. Ochs is also the author of The Clarke Tin Whistle, an acclaimed instruction book now in its twenty-first printing with over 250,000 copies in print. He was producer of Micho Russell’s Ireland’s Whistling Ambassador, and co-producer of Cathal McConnell’s Long Expectant Comes At Last, both of which were nominated for “Best Celtic Album of the Year” in the NAIRD Indie Awards. 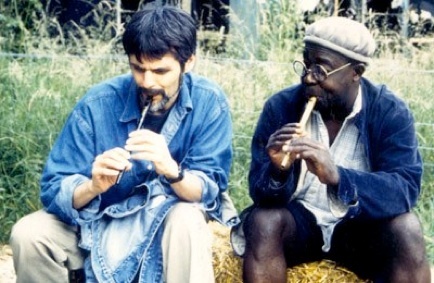 In addition to the pennywhistle, Ochs played the Irish uilleann pipes and the Irish flute. His performing credits include playing for José Quintero’s Broadway production of A Touch of the Poet, Pilobolus Dance Company’s Broadway début, the soundtrack for Bob Rafelson’s film Mountains of the Moon, and the première of Wind by Eiko and Koma at the Jacob’s Pillow Dance Festival. Ochs was the piper in the original touring lineup of The Green Fields of America, which included Liz Carroll, Jack and Charlie Coen, Michael Flatley, Sean McGlynn, and Mick Moloney. Ochs’ writing credits include articles on Irish music for New York Magazine, Sing Out!, The Pipers’ Review, and other publications. 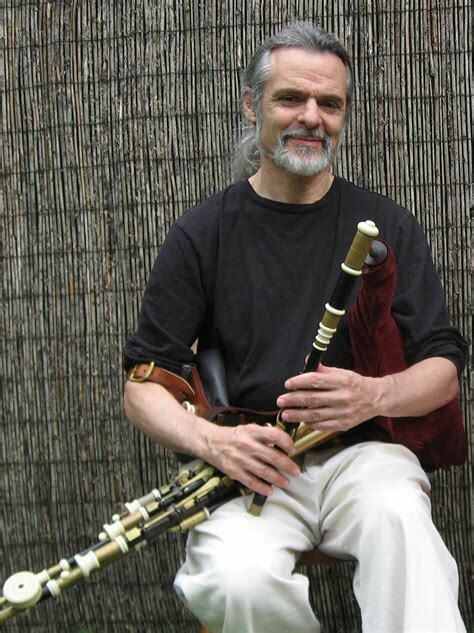 He lived in New York City where he taught the tin whistle, uilleann pipes, and flute at The Irish Arts Center. He also produced Micho Russell: Rarities & Old Favorites 1949-1993, a 2-CD collection of the County Clare whistler’s music. For more information regarding the CD set visit pennywhistle.com.